Did you know that Mississauga is not only Canada’s sixth largest city, but also home to more than 53,000 businesses and 440,000 employees? With so many businesses thriving in Mississauga, it’s important that each one is operating as safely as possible and protecting their bottom lines from costly losses. Federated Insurance is committed to protecting Mississauga-based businesses by offering comprehensive business coverage. Why do you need insurance for your Mississauga-based business? It’s not only important to actively work to prevent claims from happening at your business, but to be prepared if one does. Could your business survive a costly lawsuit or a cyber-attack? If your business suffered from a fire and needed to be completely re-built, would you be able to handle those costs? That’s where Mississauga business insurance comes in. A comprehensive policy can help protect your business from the unexpected. Since we’re local, we are in a great position to understand the unique aspects of running a business in Mississauga, whether you run a store in downtown Port Credit, a restaurant in Cooksville or any other neighbourhood. At Federated Insurance, we understand that your business is unique. That’s why your insurance policy should be too. Things like revenue, business contents, where your business operates, and more affect which policies are best for you. Here are just a few of the coverages Federated Insurance offers to protect Mississauga-based businesses like yours. Sometimes, things are just out of your control. Despite your best efforts, your business could suffer from a fire, weather damage, or vandalism. The best thing you can do is ensure you have the right protection to help you get back on your feet after such a disaster. Commercial property insurance protects the building you use, as well as a range of other things including equipment, inventory, furniture, computers, outdoor signs, and landscaping like gardens. After a disaster, it can help you manage any repair and replacement costs resulting from the event. Learn more about commercial property insurance! Commercial general liability insurance (or CGL for short), is designed to help protect business owners if they are found legally liable for bodily injuries or property damage to a third party. For example, if you own a restaurant and someone slips on a patch of water while walking to their table and injures themselves, you’d look to your CGL policy to help with the legal costs that you may incur from the accident. Learn more about commercial general liability insurance! When your business suffers a loss that disrupts, reduces or suspends your operations, business interruption insurance is designed to help replace your lost income and cover expenses to expedite your return to business. For example, if you’re a retail store owner whose business suffers from an act of vandalism that causes you to close your store temporarily. Your business interruption insurance would come in handy. While you work to return to business as usual, it may help cover business expenses like rent or your employees’ salaries. Learn more about business interruption insurance! Long and short-term disability insurance can help alleviate some of the financial stress that can build up while dealing with medical issues. Without the worry of how your finances will be affected, you’ll have the opportunity to focus on getting better and back to work. Learn more about key person insurance! 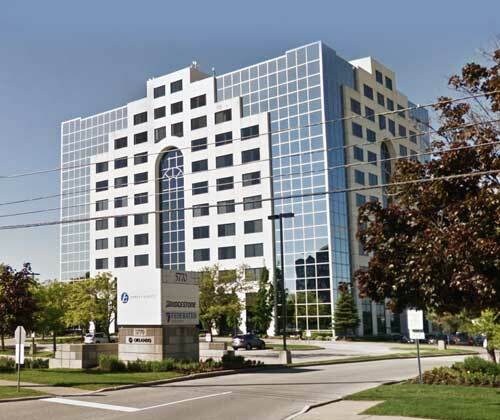 Why should you choose Federated Insurance to protect your business in Mississauga?